What an honor to sing for the In Memorium segment at this year’s CARNEY AWARDS, at which such marvelous character actors as William H Macy, Richard Kind, William Fichtner, Wendie Malick, and Xander Berkeley were recognized for their work. Produced by Jim and David Katz, the show will air on COZI-TV Dec 2. 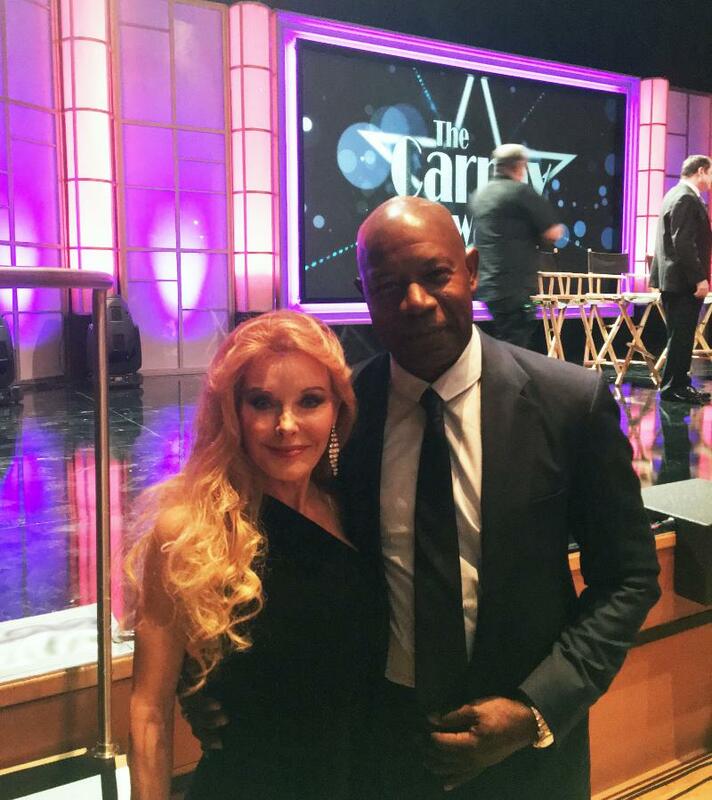 Pictured here with Dennis Haysbert (known for “24” and as the Allstate Man, and who has a new series called “Reverie” on NBC), who gave a beautiful introduction to my performance.